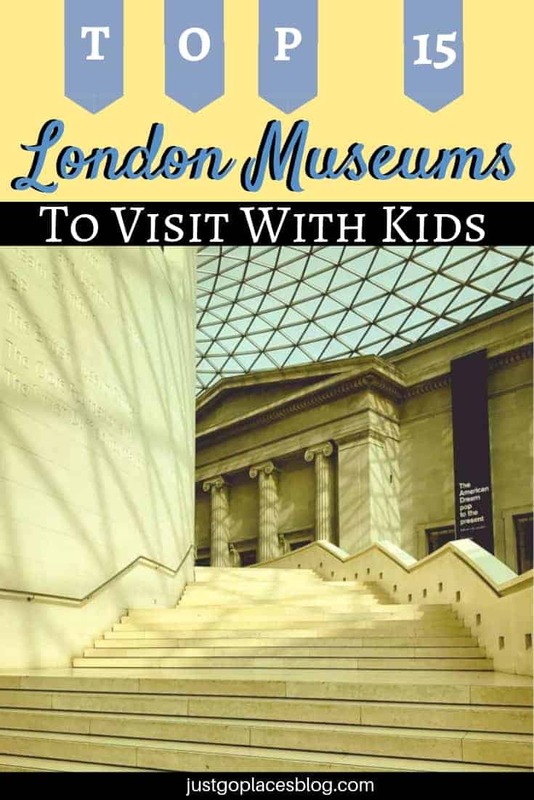 On your next family trip to London, you should definitely check out some of the offerings at the London museums with kids in tow. Invariably it will rain and you may be looking for indoor activities in London. With the wide choice of child friendly museums London will have an option for your family no matter the age of your children. Many of these free museums in London are among the best in the world! Fun museums for kids include the world-famous institutions such as the British Museum but also lesser known museums like the HMS Belfast. The best museums for children in London really do rank among the best things to do in London with kids. 5.4 Join our growing community of readers! What’s one great thing about visiting London museums with kids? So many of them are free that if your child/teen is having a bad day, you can just leave the museum without feeling you have wasted your money. On your next family trip to London, check out some of these fun museums for children. To be part of this round up of best kids museums London has to offer, these places all have plenty to do for children. Among the family things to do in London, these museums make great indoor activities – London weather is unpredictable! Skip the Line! 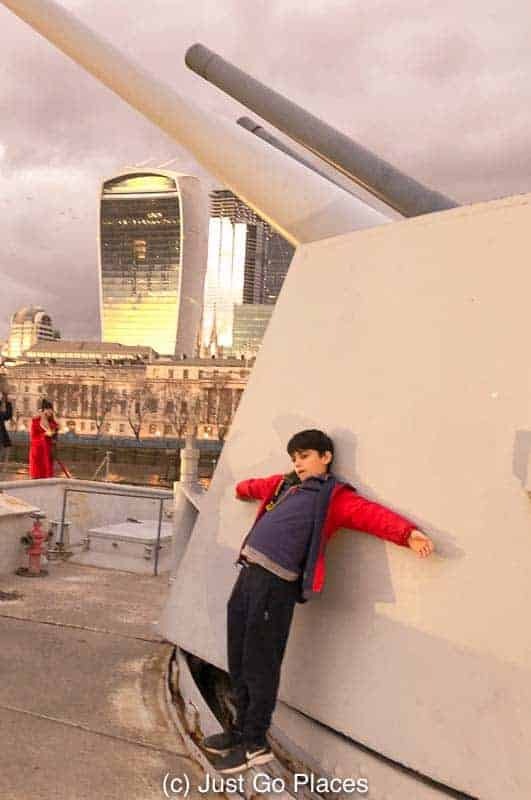 There are plenty of free museums in London but some of the best museums for children in London require admission fees, such as the HMS Belfast and the London Transport Museum. Buy your London Pass which gets you free access to these museums as well as a whole host of other London attractions. Some of the best museums for children in London are some of the best museums in the world, period. These 5 of the best free museums in London are world-renowned institutions. In terms of child friendly museums London really is world class! Where to begin? 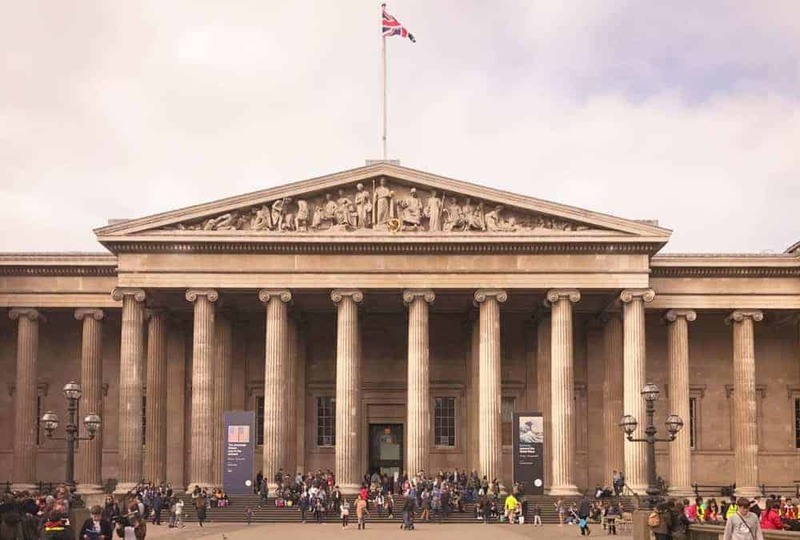 The British Museum is a treasure trove – from the Rosetta Stone to portions of the Parthenon from Greece – this institution has something from every major civilisation. It is also very kid-friendly organising regular overnight sleepovers for kids aged from 8-15 related to its special exhibitions. There are also regular family events like discovery trails, activity backpacks and digital activities. 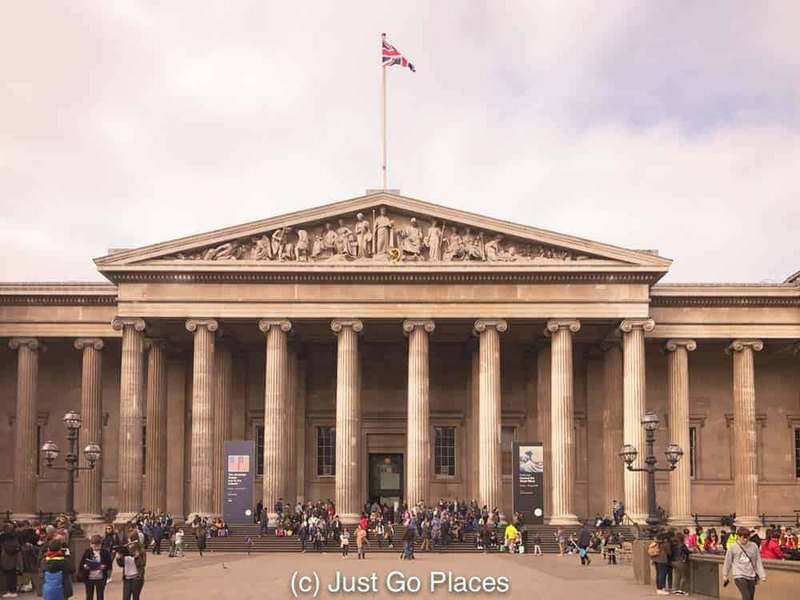 You can find the British Museum at Great Russell Street in London, WC1B 3DG.The nearest Tube stops are Tottenham Court Road, Holborn, Russell Square and Goodge Street, It is open 7 days a week and free to visit. The V&A Museum is the world’s largest museum of art and design. 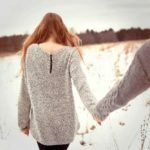 What does that mean for kids? Cool recent exhibits have been about video game design. Every Christmas, the V&A Museum has famous architects make a futuristic Gingerbread City. They run family workshops where your kids can make gingerbread houses as well. There are daily family activities as well such as activity trails and backpacks. You can find the V&A Museum at Cromwell Road in London, SW7 2RL. The nearest Tube Stop is South Kensington. It is open 7 days a week except for a few days at Christmas and free to visit. The Science Museum has plenty to keep kids occupied with its permanent collection and special exhibitions. The highlight for children though will be the interactive exhibits at the Wonderlab. My kids could easily spend an entire day amongst the 50 odd exhibits and shows. The Wonderlab, however, is timed entry and paid admission so that it doesn’t get too crowded. We remember before they constructed the Wonderlab (with its timed entry) and admission was free and it was total chaos. Yes, you have to plan a bit more but we prefer the current system. You can find the Science Museum at Exhibition Road in South Kensington, London SW7 2DD. The nearest Tube Stop is South Kensington. It is open 7 days a week except for a few days at Christmas and free to visit. You need to pay for the Wonderlab exhibitions which are totally worth the money. Do your kids like dinosaurs? They will love the Natural History Museum. It’s got a great dinosaur collection as well as other exhibits on animals. Kids can also do overnight sleepovers with kids aged from 7-11 at the Natural History Museum. 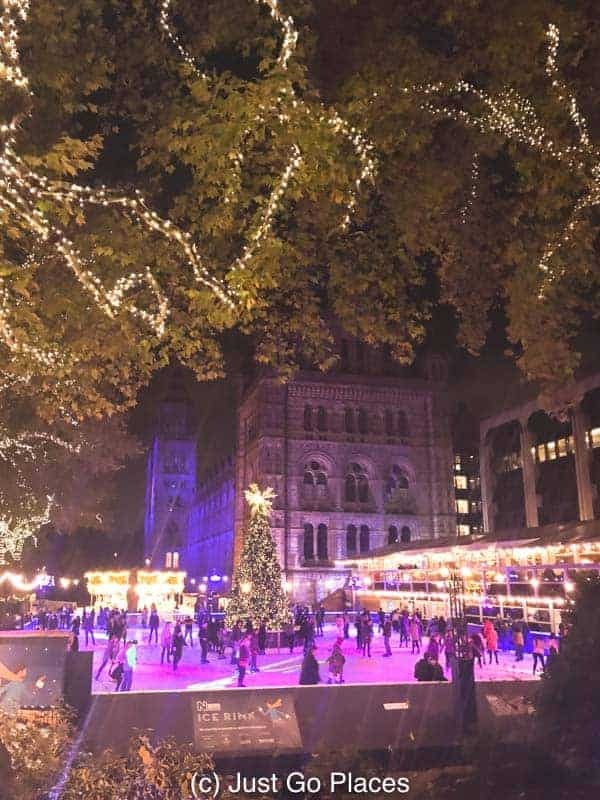 One of the big London family attractions in December is the ice skating rink outside the Natural History Museum. You can find the Natural History Museum at Cromwell Road in London SW7 5BD. The nearest Tube Stop is South Kensington. It is open 7 days a week except for a few days at Christmas and free to visit. You need to pay for the Wonderlab exhibitions which are totally worth the money. 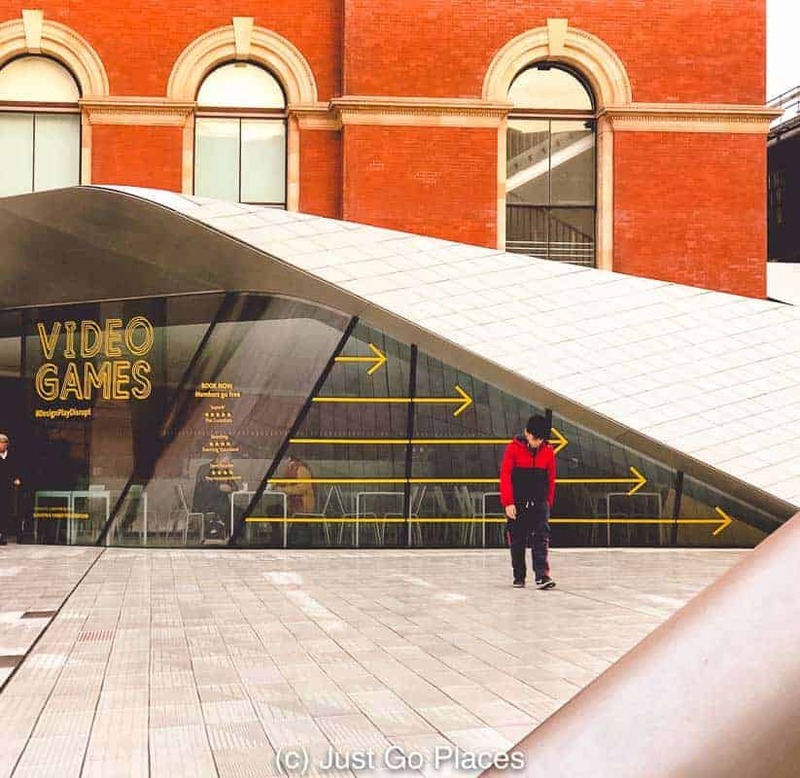 Although a bit out of the way, the V&A Museum of Childhood is easily accessible by public transportation and one of the best free museums in London for families. Although associated with one of the biggest museums in London, this branch of the V&A is one of the best museums for toddlers to. 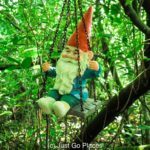 The museum is devoted to childhood through the ages but it is easily accessible for children such as by dressing up, playing with the dollhouses and activity packs. You can find the V&A Museum of Childhood at Cambridge Heath Road in London E2 9PA. The nearest Tube stop is Bethnal Green. It is open 7 days a week except for a few days at Christmas and free to visit. These small museums in London are a good option for London family attractions if you are afraid to lose your children in a large space. These fun museums for kids pack plenty of entertainment and education in a smaller square footage. The Museum of Brands is one of the coolest small museums in London. Older children will be fascinated with how well known advertising and brands have changed over the years. You can find the Museum of Brands, Packaging & Advertising at 111-117 Lancaster Road in Notting Hill London W11 1QT. It is open 7 days a week and there is a charge for admission. Children under 7 years of age are free. 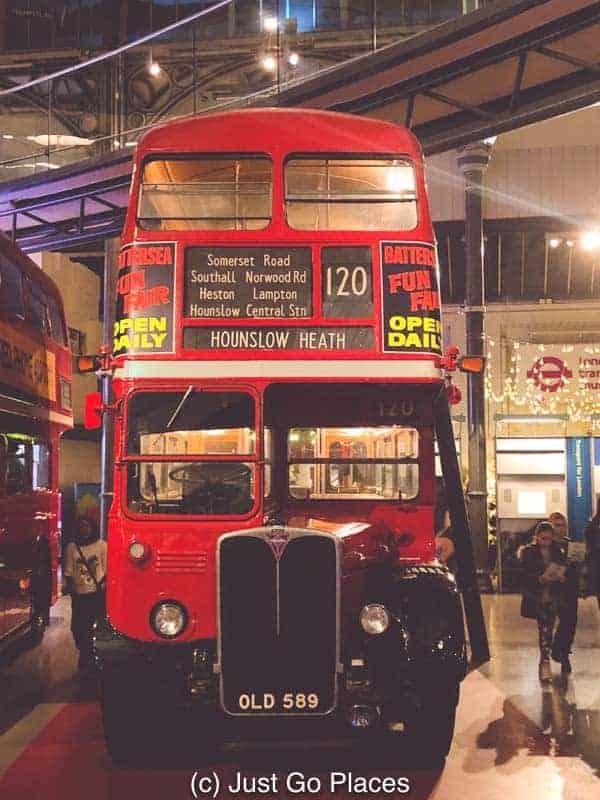 The London Transport Museum is one of the best London museums for kids if your children are obsessed with vehicles. The museum goes through the history of transport in London from the Victorian early Omnibuses to the the London Tube today. Among the small museums in London, you can be pretty assured that your kids can run around the vehicles at this museum and do little damage. Children under the age of 7 have a special play area called Playzone. In the Playzone, children can drive vehciles and dress up in uniforms. You can find the London Transport Museum in the Covent Garden Piazza in London WC2E 7BB. The nearest tube stop is Covent Garden. It is open 7 days a week. T here is a charge for admission but not for children under the age of 17. The HMS Belfast is another one of the 5 museums that make up the Imperial War Museum. It is a World War 2 Royal Navy warship with 9 decks to explore from the captain’s deck to the boiler and engine rooms. Kids will learn not only about the skirmishes engaged in by the ship but also about life on board for the 950 member crew. You can find the HMS Belfast moored at The Queen’s Walk in London SE1 2JH. The nearest tube stop are London Bridge and Tower. Hill. It is open 7 days a week except for a few days around Christmas and there is a charge for admission. The Churchill War Rooms are one of the 5 museums that make up the Imperial War Museum and another good option for London museums for kids. A small museum set up exactly the way it looked when Churchill ran the World War 2 operation from this bunker, it is a fascinating look at the history behind World War 2 for older children who have studied the war. The Churchill War Rooms are located at Clive Steps on King Charles Street in London SW1A 2AQ. The nearest tube stops are Westminster and St. James’s Park. The Churchill War Rooms are open every year except around Christmas. There is a price for admission. The Charles Dickens Museum is the former home of the novelist and where he wrote several of his famous novelsfamous novels. It is one of the best small museums in London because no doubt your kids will know some of his works, such as Oliver Twist and A Christmas Carol. My kids learned about Dickens early thanks to Scrooge McDuck and Duck Tales. Moreover, it’s one of the fun museums for kids at Christmas because the house is decorated in preparation for a Victorian Christmas. The Charles Dickens Museum is located at 48 – 49 Doughty Street in London, WC1N 2LX. The nearest tube stops are Russell Square, Chancery Lane or Kings Cross. The Charles Dickens Museum is open limited hours from January to November and open every day in December. There is an admissions charge for everyone over the age of 6. You can thank the British military for providing some of the best museums for toddlers. If you have older children, both museums have plenty to keep your older kids occupied on a family trip to London. Although the location of the Royal Air Force Museum is not very central, this museum is one of the best things to do in London with toddlers. The Royal Air Force Museum is located in giant hangars so there is PLENTY of space to run around. My son, however, could stay in the same space and wear himself out. He would find the plane with a shark painted on it and then run away from it scared. And, then he’d come back and do it all over again. And again. In addition to the shark plane, there are lots of other planes, helicopters, tanks, etc that your children can explore as well as activity backpacks, simulators, etc. Another reason the Royal Air Force Museum is one of the best museums for toddlers is because there is an outdoor playground themed along the lines of military vehicles – a helicopter climbing frame, a Tornado airplane with slides etc. The RAF Museum London is located at Grahame Park Way in London NW9 5LL. There is plentiful paid car parking. It is open every day and has free admission. You would not believe that the National Army Museum is one of the best museums for toddlers. Seriously. They have a GREAT soft play center called Play Base with specific sessions for which you sign up. For older children, there are many interactive exhibits as well as other activities like dressing up options and an activity backpack. With its array of activities for both older and younger children, the National Army Museum is one of the best things to do in London with toddlers in tow. You can find the National Army Museum at the Royal Hospital Road, Chelsea London SW3 4HT. It is open 7 days a week and free to visit. Play Base does have a separate admission charge. Some London museums for kids are better appreciated with older children. Just because there are plenty of free museums in London for kids doesn’t mean it would be a good idea for your family trip to London. The Imperial War Museum is another of the child friendly museums London has to offer. I would say the IWM is better with older children because it explores the larger themes of world conflict, such as why the world wars started. The Imperial War Museum is on Lambeth Road in London SE1 6HZ. The nearest tube stops are Lambeth North and Elephant & Castle. 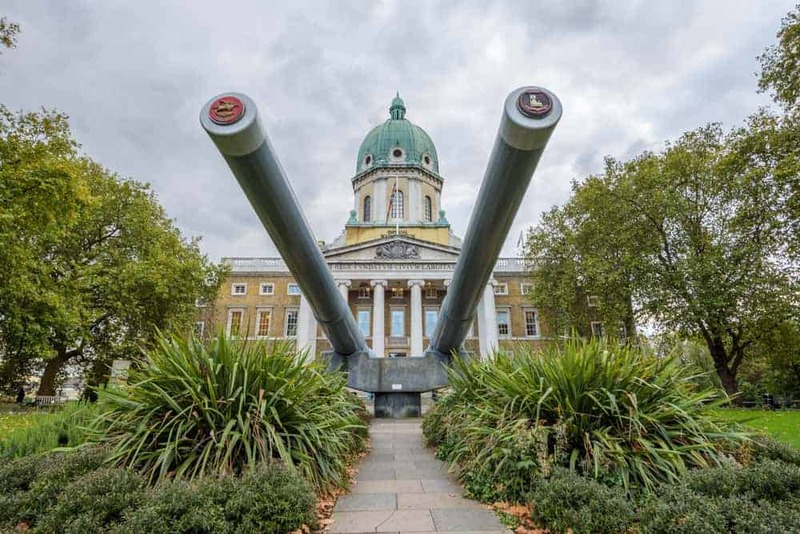 The Imperial War Museum is open every day except around Christmas and provides free entry. Set in a converted power station overlooking the Thames, the views from Tate Modern are amazing. 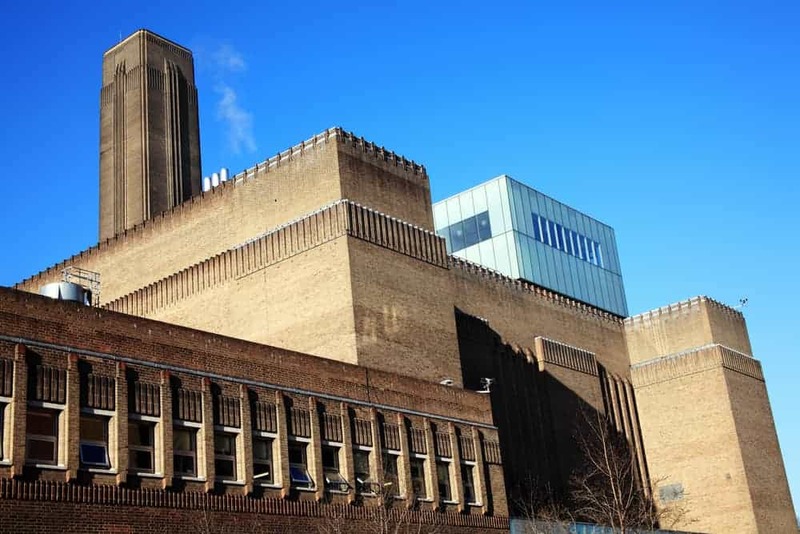 Strolling along Bankside is one of the best family things to do in London and you can’t miss the imposing Tate Modern. It really is one of the best free museums in London but you kids have to be old enough to appreciate contemporary art. My kids would endlessly run up and down the ramps of the Tate Modern when they were young – totally underrated among the things to do in London with toddlers! Now that they are older, they have more appreciation for the contemporary art than just the building. The Tate Modern is at Bankside in London SE1 9TG. The nearest tube stations are Southwark, Blackfriars and St. Pauls. It is open every day and has free admission. For indoor activities London has to offer, check out the Museum of London. 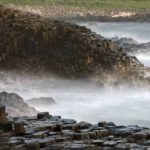 It explores the city’s thousands of years of history starting with the people who lived in the area before even the Romans. The Museum of London even contains a portion of the original Roman wall that protected the Romans city of Londinium! I thought the Lord Mayor’s carriage was pretty impressive but what did my kids really want to see? Toxic waste. The portion of the fatberg that is on display at the Museum of London. If you don’t know, the fatberg was a 130 ton mass of grease and waste clogging up London’s sewers. Pretty gross but fascinating if you are a fan of the Horrible Histories sort of stuff my kids grew up on. The Museum of London is located at 150 London Wall in London EC2Y 5HN. The Museum of London is open daily and has free admission.